Dr. Hong is a board-certified and fellowship-trained physician in the field of pain management and anesthesiology. Raised in Dallas/Fort Worth, he completed his Bachelor of Science locally at the University of Texas at Arlington. He then proceeded to obtain his Doctorate of Osteopathic Medicine from Touro University College of Osteopathic Medicine in Vallejo, California. After medical school, he completed his residency training in Anesthesiology at Maimonides Medical Center in Brooklyn, New York where he served as Chief Resident during his final year. He finalized his training with an ACGME-accredited pain management fellowship at UT Southwestern Medical Center in Dallas, Texas. 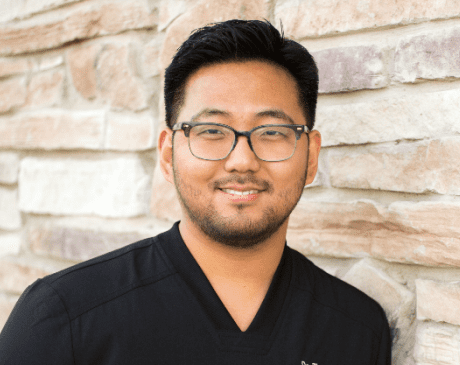 Upon completion of his pain management fellowship, Dr. Hong joined Arlington Pain & Therapy in July of 2018. The practice currently has locations in South Arlington and Mansfield. Dr. Hong will primarily be seeing patients in their Mansfield office. Some of Dr. Hong’s academic achievements include numerous national presentations, case reports, publications in the field of pain management and anesthesiology. Dr. Hong was a recipient of the prestigious FAER (Foundation for Anesthesia Education and Research) Resident Scholar Award. He is currently working on a book chapter for a textbook which will be used as an educational tool in the field of pain management. Dr. Hong believes in a comprehensive treatment plan including but not limited to medication management, physical therapy, interventional procedures, and surgical procedures. He has received extensive training in treating all types of pain but has a special interest in neuromodulation and spinal cord stimulation. Dr. Hong is a member of the American Society of Anesthesiologists, the American Society of Regional Anesthesia and Pain Medicine, Texas Pain Society, and the International Anesthesia Research Society. He is on medical staff at Methodist Mansfield Medical Center. Outside of work, Dr. Hong enjoys golfing, basketball, traveling, and snowboarding.